On another Saturday evening on June 9th, in the same long shadows that have framed so many champions before, Justify won the 150th Belmont Stakes and racing’s 13th Triple Crown. And because it was unlike any that came before it. 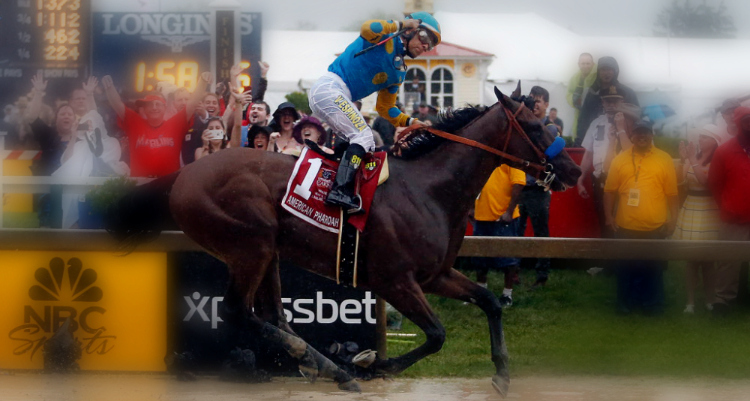 He is just the second horse, and the first since Seattle Slew in 1977, to win the Triple Crown while undefeated. His perfect record has been written in a frenetic six-race career. Two weeks after winning the Kentucky Derby, American Pharoah entered the second leg of the Triple Crown, on May 16 at the 2015 Preakness Stakes, run over nine and a half furlongs at Pimlico Race Course. Despite an unfavorable inside draw of the number one post position, he was installed as the morning line favorite ahead of Firing Line and Dortmund. No horse had won the Preakness starting from the rail since 1994. The last time the Preakness had been run on a sloppy track was in 1983, and American Pharoah was the only horse in the field to have previously faced similar conditions, having won the Rebel Stakes running in rain and mud. Due to weather conditions, the winning time of 1:58.46 was the slowest time since Hill Prince won in 1950 with a time of 1:59.20, and well off the record, set by Secretariat in 1973, of 1:53.00.